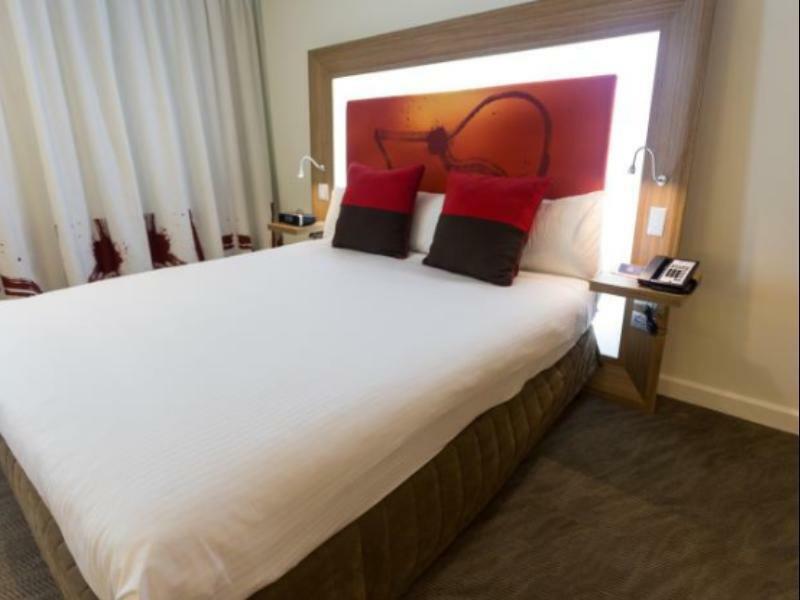 بني في , Novotel Sydney Rooty Hill Hotel هو ميزة مُضافة لـ سيدني و خيار ذكي للمسافرين. يمكن من هنا للضيوف الاستمتاع بسهولة الوصول إلى كل ما تقدمه هذه المدينة النابضة بالحياة. سوف يعشق النزلاء موقع هذا الفندق، فهو قريب من أهم المعالم السياحية في المدينة كمثل Saints Medical Centre, ‪Nurragingy Reserve‬, St Clair Medical Practice . تعكس غرف الفندق البالغ عددها 164 المنتشرة في 6 طوابق جواً من الدفء والألفة.خدمات عصرية مثل تلفزيون بشاشة مسطحة, سجاد, قهوة فورية مجانية, شاي مجاني, بياضات موجودة في بعض الغرف المختارة. يمكنك الاستمتاع بالأجواء المريحة التي تقدمها حوض استحمام ساخن, مركز للياقة البدنية, ساونا, حمام سباحة داخلي, بلياردو طوال النهار. 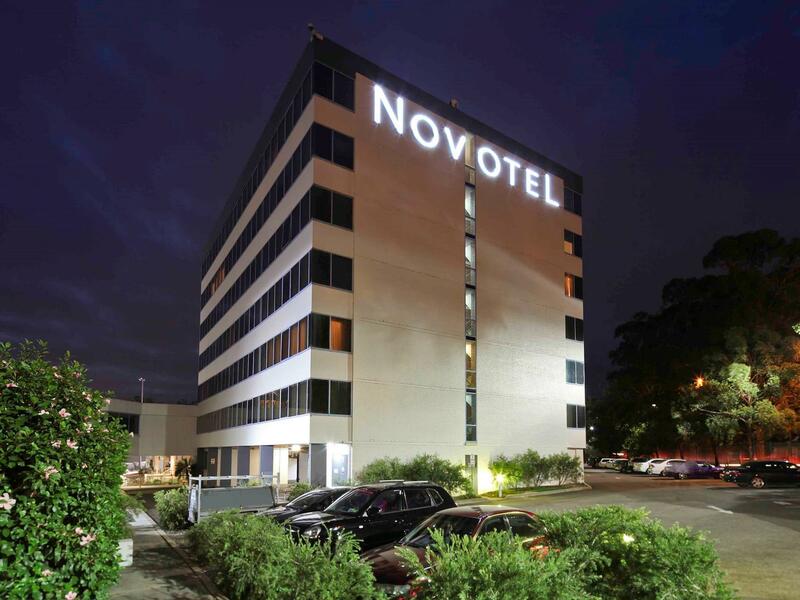 اكتشف مزيجاً ساحراً من الخدمة الاحترافية والخيارات الواسعة من وسائل الراحة والمتعة في Novotel Sydney Rooty Hill Hotel. يُسمح للنزلاء الذين يقيمون في العقار دخول مركز سيدني جيمناستيكس أكواتيك (Sydney Gymnastics Aquatic Centre) وصالة ون55 للألعاب الرياضية (One55 Fitness Gym). وتخضع صلاحية الوصول إليهما لمدى التوافر. يقع مدخل ومخرج مواقف السيارات في شارع Sherbrooke. This is the largest motel room we have ever stayed in. King size bed was really comfortable. Free parking although the construction site is a pain. Very quiet considering on a main road. We got back from a function about 12.45am and the door was still open and the reception desk manned. Only criticism is that the lighting in the bathroom is not bright - not great for make-up application! Highly recommend this motel. Also good value. We all know western Sydney has its challenges but this place is an oasis in the desert. Its professional and high standard. Being with the RSL means it has a good gym and many things to do next to it. I will stay there anytime when I need to be located in this area. Its by far the the best place in the area. Room was clean. Staff friendly. Able to walk within hotel to Rooty Hill RSL for dinner. Furnishings in room need updating otherwise a good overnight stay. Comfy beds, great facilities, blown away by the room size. Even with the alterations under we managed to get in and out fine. The complex will be amazing when completed. Lovely coffee at restaurant. We had tickets to the Michael Jackson tribute show and this was a great place to stay to make a night of it. 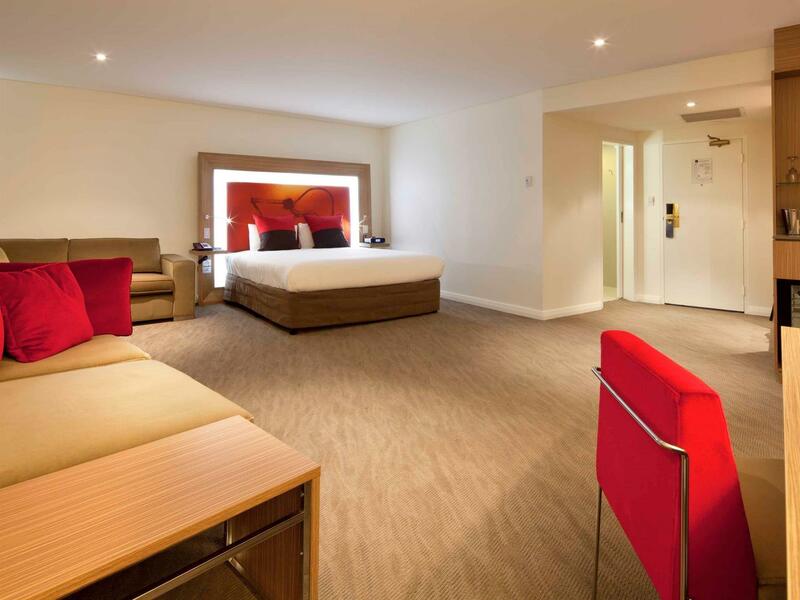 With direct access to the Rooty Hill RSL you could not get a more convenient and safe option. Also easy to drive to with the tollways. The room was enormous & for daughter & I it was much better than expected. I was pleasantly surprised staying at this hotel. The rooms are exceptionally large with everything you could ask for. Great amenities, use of the fitness centre and RSL. Room service available and Foxtel included. It was very clean and I would be happy to stay here again. Staff were efficient and helpful, room was very clean and had everything we needed. Great to have a place to charge all our appliances. Just a one nighter on the way through Sydney but would be good to stay a few days too. I've stayed at a few Novotel hotels before and a couple overseas however I've found this hotel to be lacking in value for money. The staff were good and friendly but the amenities were not up to standard of a 4 star hotel. This is the second time we have stayed the property is very clean and the size of the rooms are the best I have seen any where. Breakfast was fantastic and easy to go to the club right. Next door for dinner. Great stay will be back next time we are in the area Also the family used the motel not only to stay but for a family get together after a funeral service. Staff were very efficient and friendly it did make difference on such. Sad occasion. Loved the room it was huge and great staff who went out of their way to be helpful. We were able to order dinner I room service at 10pm. Great to have the 11am check out. Would. book this motel next time we are in the area. 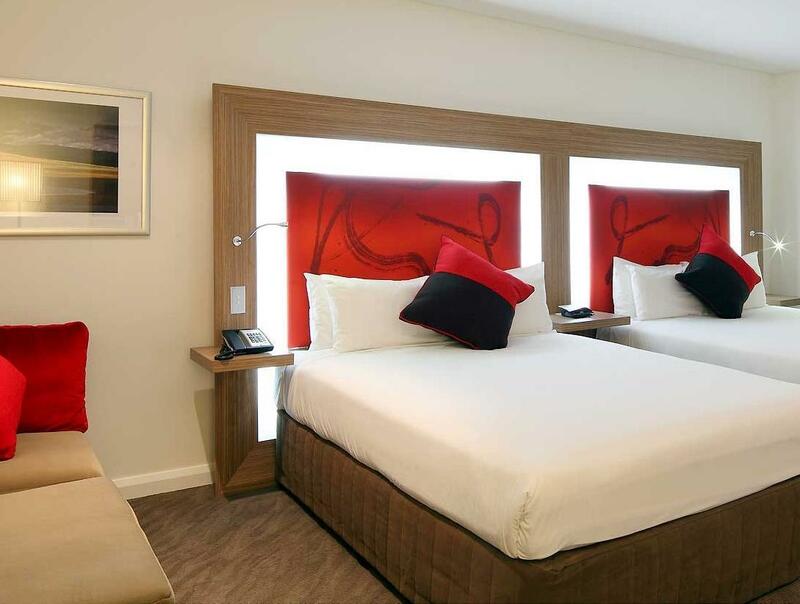 Everything at the Novotel Rooty Hill exceeded my expectations. From the size of the room (king room standard), comfort of the bed, variety of facilities (gym, pool, bowling, RSL) and the taste and variety of breakfast this was a first class stay. We stayed as a couple overnight from Melbourne on our way to a wedding in Western Sydney and the location of this hotel allowed us to avoud the traffic of Sydney and get in and out to the wedding with ease. I would highly recommend this hotel. Easy to check in and out, good location, next to the RSL Club. Comfortable and there are good facilities. The 2 complimentary bottles of water are very much appreciated. It could have better lighting around the mirrors in the bathroom. Also, it would be a little bit better if the airconditioning could be more easily controlled. Great, I would prefer that the pool & gym are apart of the hotel not a place of public use. I book hotels on this criteria & I do not recall seeing anywhere on your site mention that these where public facilities. Proximity to competition venue; Spacious rooms; Friendly and helpful staff. Everything went very smoothly from parking our car in the Hotel car park even before check in. We had no difficulties at all. The room was very spacious and comfortable. The decor of the entire hotel was nice. Every staff member I encountered was friendly and seemed happy to be at work. We only chose the Novotel because of it's proximity to the SGAC where the gymnastics competition was being held, but were really glad for the opportunity to stay there. 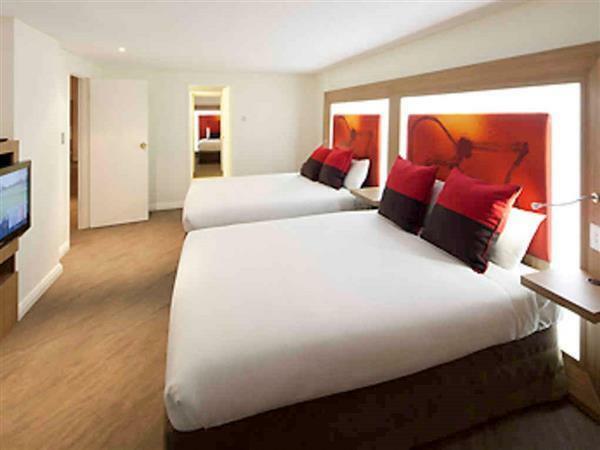 Large clean and comfortable rooms. Adjoins the RSL with great food. Friendly staff. Stay at the hotel same time every year as it is in a convenient location to an event I attend. Would not stay anywhere else. The rooms are huge, modern and clean and the price is very reasonable. Very good meals in the adjoining RSL club.